I’m so glad I wasn’t on a reality show for my first craft show (The Real Crafters of Canada?). That would have been a whole lot of awkward caught on camera. 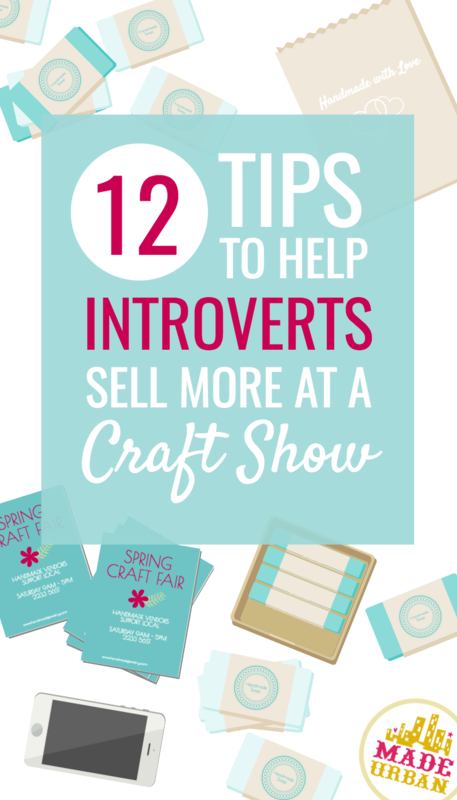 Craft shows can be really intimidating for introverts; not only are you putting your work out there for people to critique, you have to put yourself out there, spending the entire day around crowds of people, chatting with strangers. I know from experience how intimidating it can be; do I say hi? They didn’t hear me….do I say hi again? Where do I look? I don’t want them to feel like I’m staring at them. How much should I talk about my products? I don’t want to bother them…. The good news is that it does get a lot easier and fast. Here are 12 things that helped me come out of my shell for shows. Know that people aren’t looking for you to talk constantly about where you sourced your material, what you were thinking when you made this piece or what the entire process is. There will be some inquisitive shoppers but most just want to make a connection with you. That may mean chatting about the weather or a hobby of their own. How much you talk or share is completely up to you so don’t feel pressured to tell everyone everything. If you create an effective display, you can let it do the talking for you. Add elements to draw shoppers in, avoid common mistakes, use signage to communicate important messages and find ways to sell to them after the event. It can also be helpful to know what organizers and other vendors expect of you to feel more relaxed. If you have enough time before the doors open, walk around and introduce yourself to the other vendors. This will not only put you at ease by making you feel like you’re surrounded by friends, rather than strangers, it will also warm up your conversation skills so you feel more relaxed when the first customer hits your booth. like you can only get one sentence out, start with that one. I know firsthand that shyness and introversion can be taken the wrong way by people. Although our friends and family know we’re just quiet, strangers can mistake that quality for being rude. I heard over and over, once people got to know me, that “wow, you’re actually really nice”. Thank you? The biggest thing to remember, whether you’re an introvert or not, is that people like to feel important. The best way to do this and at the same time, take the focus off of you is to ask them questions about themselves. The more questions you ask, the more likely you are to find a common interest. When I find a fellow cat lover, I could talk for days! Don’t go overboard with questions though. You don’t want them to feel like they’re being interviewed. Not to mention, they may be an introvert like you – in which case, check out our article How to Sell to Introverts. Take cues when someone wants to chat and when they just want to quietly shop. what type of ____ (enter your product category here) do you usually use/wear/buy? what have you picked out so far? These will get them to open up a bit more and they may share something while answering that makes for an easy transition into another topic. More on this subject in our article How to Start a Conversation with any Shopper. Prepare some tactics and open-ended questions you can ask when you’re feeling on the spot. You don’t need to read them from a piece of paper but have a few in the back of your mind that you can use on shoppers throughout the day so you’re not scrambling to find something to say when you’re caught off guard. 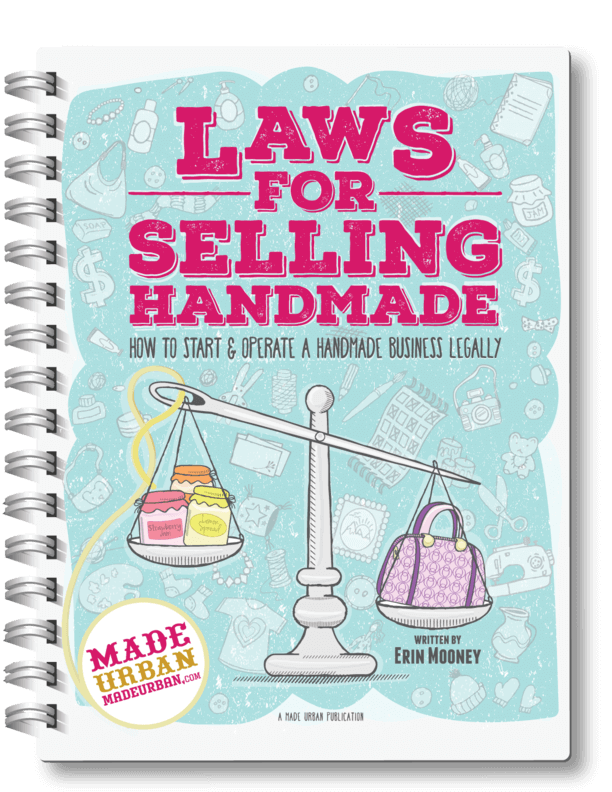 There are a few best practices retailers use to sell more without saying a word. Consider how you can use them at your next event. Check that you have everything you need before you leave the house, arrive on time, with all your items tagged and your set up determined. Rushing to the show and having to figure out the layout of your booth while shoppers come in will leave you flustered and starting off on the wrong foot. I also hated fumbling over money exchanges so I was sure to have a setup down and behind my table, away from prying eyes, where I could use a calculator if need be and count out their change. All of my wrapping supplies were ready to go so I wasn’t searching for tissue paper and business cards while they patiently waited…..and watched. My business partner and I used to laugh about using the same lines over and over with different customers. To us, it was a lame joke we heard 100 times in a day but to a new customer it was new and funny. Repetitive? Yes. But it made making conversation easy. If you can work your products into the joke, even better. Is there a funny story behind one item or something it’s commonly mistaken for? Bring it up when a shopper checks it out (and don’t be afraid to repeat the same joke with different customers). Humor is a great icebreaker and it helps the shopper and your overactive mind know, not to take things too seriously. Complimenting someone on something they’re wearing will instantly make them feel comfortable and more likely to open up to you. It’s not something you want to do with every customer, as people will start to think you’re insincere, but when you really do love something about them, let them know! the icebreakers, questions and techniques they use, to chat with your customers. BONUS: Step up that craft show display! The more effort you put into your display, the less talking you have to do. Think about what you’d love to tell customers about your products, business and brand and then find ways to communicate that through visuals. Being an introvert is a great thing; we typically like to sit back and observe the situation so we become quite intuitive. Being able to pick up on subtle signs people are giving off puts you at a great advantage. You might not be able to gab someone’s ear off but you know when to engage and when to back off. 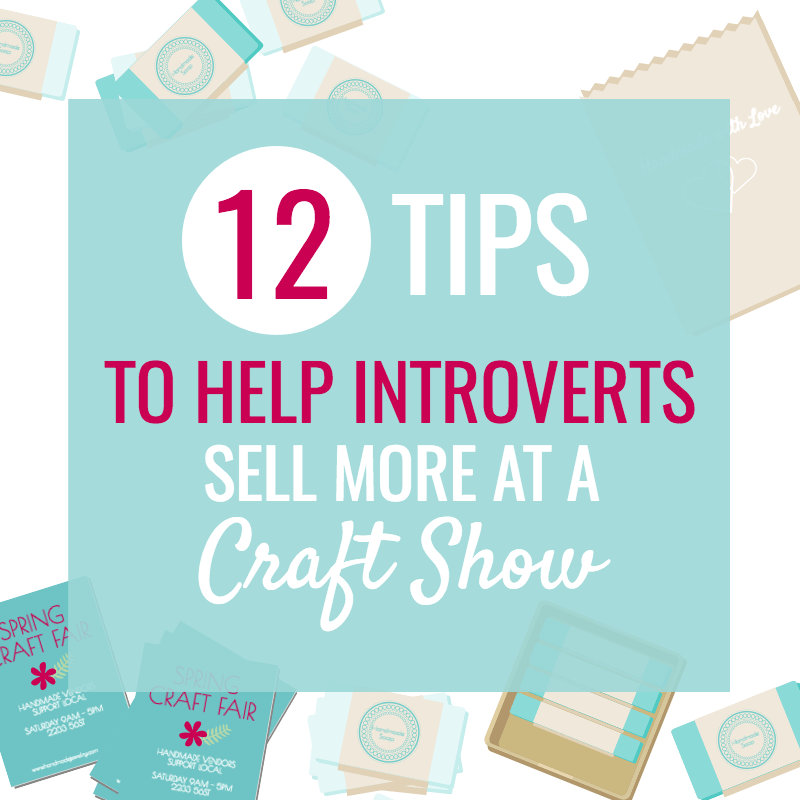 If you’re still really uncomfortable with the idea of a craft show, even with these 12 tips, bring a friend or share a booth with a fellow crafter you know until you feel confident enough to do it on your own. Thank you so much for these awesome tips! I really appreciate them. Wonderful tutorial! I have been selling in different forums for years. I am about to embark upon my first craft show. Although I am not a true introvert I am a little intimidated. Your tips will come in very handy. Thank you! I was laughing silently at your intro paragraph. I guess I am not so odd after all. Thanks for the boost! I haven’t done many shows. But I am a vendor at my local small town farmers market, and have been wondering why everyone around me seems to be selling so well, when often I am lucky to make a few good sales. It’s hard when I want to do this so badly but my personality is telling me to go hide in cave! Ugh, conflicts! Thank you for the tips, I will have to apply them to this week’s market. Thanks so much for reading Jeanette! Glad to hear my article helped put you at ease 😉 I think at the end of the day, finding a way to feel comfortable makes for the best sales people.People are attracted to positive vibes and energy so if you’re having fun, the shoppers will come. Keep me posted on how your next event goes!